David Morgan examines the darc awards / architectural winning TILE Exterior, Cooledge’s new offering to illuminate facades, canopies, entrances and large-scale graphics. 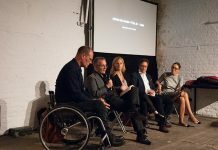 Cooledge has worked hard in recent years to promote light as a material. The Vancouver based lighting company has pioneered the development of easy to install, flexible LED light sheet for use in a wide range of back lighting applications. Cooledge Tile Exterior is their latest product and, as the name implies it is their first system that can be used outside in wet locations. Cooledge started life with a team of engineers from TIR systems and Philips who in 2009 began to develop flexible LED sheets for use in architectural lighting. It is backed by venture capital investors including ARCH Venture Capital Partners and GE Ventures. In 2016 the company was awarded the Deloitte Technology Fast 50T award recognising the company as the second fastest growing technology organisation in Canada. After various false starts their first product, Cooledge Line, was launched at Lightfair International in 2013 where it was given the Design Excellence Award. I reviewed the Cooledge Square in 2015 and was impressed by the ease of installation with a simple snap together electrical and mechanical connection. Cooledge have developed the flexibility and ease of installation of their earlier IP20 products and made the Tile Exterior suitable for outdoor lighting applications with an IP65 / wet location rating. There are a number of ingenious design features which make the system work so well. 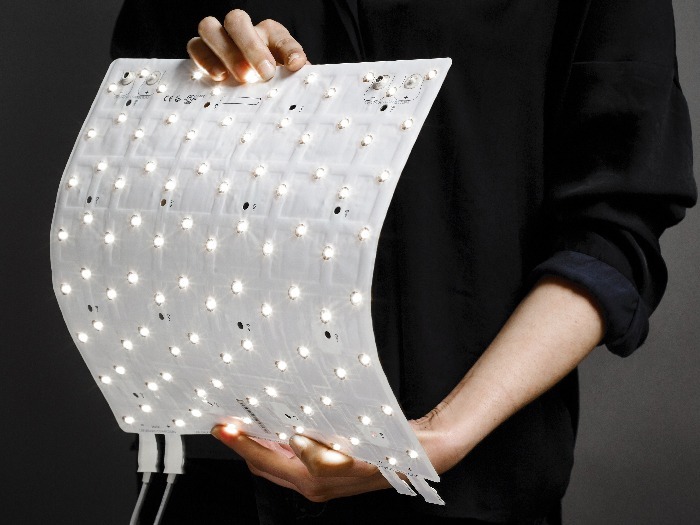 The 12-inch flexible LED panels can be clipped together with a custom designed IP65 rated snap connector along two sides of the sheet to make up large areas of flat or curved light very much like laying carpet tiles or wood flooring. It is understood that the connectors are rated to be used more than once so that panels can be replaced or re-positioned. The detail construction of the connectors seems quite delicate and they do not appear to incorporate an elastomeric seal which might lead to long term reliability issues. The system has been fully developed to make life easy for the installer including a series of ingenious wiring looms, complete with push on connectors, that join the power supply to the panels. All exposed connections are capped with snap on covers to ensure that the whole system should be water tight. A set of holes on 3-inch centres are incorporated in the panels so they can be simply screwed to the mounting surface. Tile Exterior comes in two levels of light output 300 lumens and 600 lumens per 12-inch square sheet. A variety of colour temperatures are available with a CRI of over 80 and two Macadam ellipse binning. The Cooledge design approach is to mount a grid of medium power LEDs onto a flexible polymer PCB material with a large surface area of copper and to then run the LEDs at a very low drive current which enables the sheet to work thermally without any additional heat sinking. 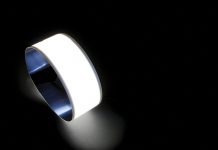 The LEDs are set on a 1.5-inch pitch and a dot free lit effect can be achieved with a spacing to a standard opal diffuser of around 1.5 to 2-inches. Efficiency, projected life and rate of lumen depreciation are all better than for traditional light panels using multiple medium power LEDs run at conventional, higher, drive currents. Efficiency levels of around 110 lumens per circuit watt are quoted by Cooledge allowing for power supply losses. Cooledge power supplies are Class 2 rated in North America with a maximum power of 90 watts. This allows up to sixteen standard size panels to be run from one power supply. Each medium power LED on the tile is encapsulated behind an individual clear moulded window in a design which Cooledge have termed ‘True Temp’. Since no gel encapsulation is used to waterproof the LEDs, the colour temperature of the LEDs is only marginally effected by the clear window material. The one limitation with the IP65 tiles compared to the IP20 tiles is that the exterior rated version cannot be cut to size without losing their IP65 rating. In order to completely fill the widest range of spaces, the tiles are available in four smaller modular sizes. When used in combination with the standard 12-inch panel almost any size can be tiled based on a 3-inch module. Tile Exterior has been developed for use in back lighting exterior ceilings, wall panels and light boxes. 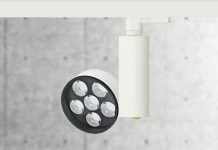 I asked a number of lighting designers if they had specified or were planning to specify the IP65 version on their projects and there was general agreement that it would be very useful and appears to be well designed for easy installation. When compared to prismatic side lit LED light sheets there are a couple of issues where the Cooledge system has some drawbacks. An IP67 rating is available for the prismatic sheet compared to IP65 for the Cooledge product and the spacing required to achieve a fully diffuse effect can be much smaller with a side lit panel. The flexibility of the Cooledge Tile Exterior material is of course a big advantage for any non-flat applications and the modular panel sizing should be helpful in minimising project lead times. Cooledge describe their products as delivering on the promises made for OLED technology, having ‘the potential to fundamentally change the way lighting is integrated into the built environment’. With the new Tile Exterior version that now includes a much larger potential exterior market. The Cooledge Tile Exterior has already received a good reaction from the lighting design community, winning the best exterior product at the recent darc awards / architectural. The system seems well detailed and is likely to be suitable for use on a wide variety of exterior projects. David Morgan Associates, a London-based international design consultancy specialising in luminaire design and development and is also MD of Radiant Architectural Lighting.